You must be a member of the Dubai Book Group to attend this activity. Would you like to join this group? 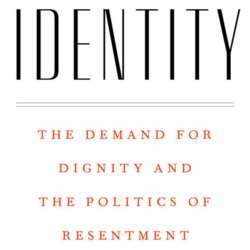 Dignity, recognition, esteem, respect, and the resentment that arises when they are not accorded—these are the themes of Francis Fukuyama’s new book. Like many political commentators, he was surprised by the results of two elections in Protected content the victories for Brexit and Donald Trump. To understand them, he sought a “master concept,” something that would explain not only these results, but also the many other political movements of this decade, from the rise of populism around the globe to #MeToo and campus protests in America.